I was born in Bogota, Colombia and spent my childhood in South America. After finishing high school in Toronto, Canada, I graduated from Massachusetts College of Art in Boston, where I received a BFA, majoring in Printmaking. I studied art at the Boston Museum School, Pasadena City College and Cal. State Los Angeles, and have exhibited my work in Colombia, England, various cities in the United States, and presently in California where I live.  I am a member of various art clubs and organizations throughout the country and have received many awards. I began drawing before I could read, perhaps because my mother allowed me to color and draw on the walls of our house. The act of drawing has always been very fulfilling for me. It is an experience both joyous as well as tormenting. It is like a personal dialogue and the act of drawing always keeps me company. Drawing is the skeleton for whatever I create. Printmaking has allowed me to stretch my passion for drawing by forcing me to first create the "tool" which eventually creates the mark, which finally produces the print. I work on plates made from zinc, copper, wood, plastic or cardboard, and run my prints off an etching press. I often work on a series of images showing related themes such as ten separate prints relating to migrant farm workers ranging from border crossings at night to work in the fields. During the last year I have made a series of prints illustrating Spanish proverbs. I have made serigraph, woodcut, engraving, lithograph, embossing and etching prints. I do all my own printing, and my editions are small. The imagery is detailed and usually representational with limited color and always printed on fine printing rag papers, and is always the result of my persistent, intensive love of drawing.